This is so perfect!! I love the color of that dress- it's so beautiful with your skin tone! And that floral bag is adorable. Aha, nice spurts of weather are always good to have. ;) And I love the floral detail on that bag. I don't like many floral patterns, but that one sure is lovely. 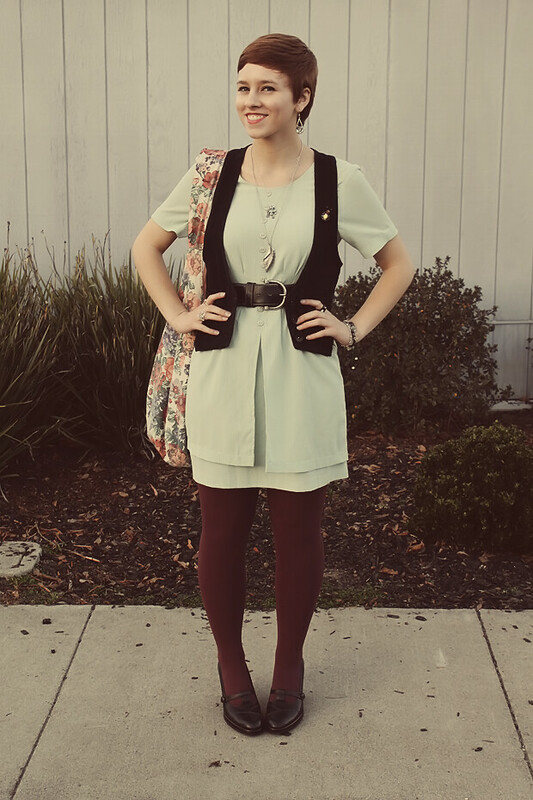 :) I like how the tights and your dress really play off the colors of it, too! I am always in love with the colors you choose for your outfits! Perfect for the time of the year and such! You look so nice, Elanor! 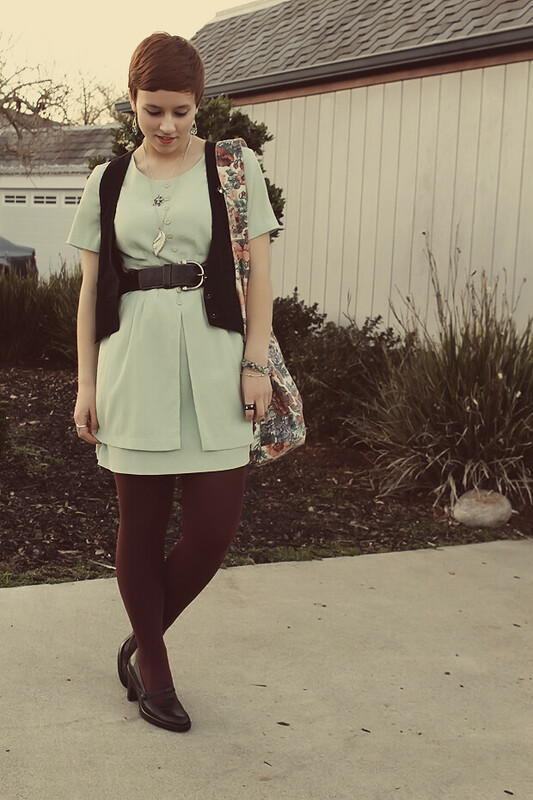 wow that bag goes perfectly with the shades of your dress and tights! such a beautiful mix! love the vest over the dress- such a cute addition! This winter has been crazy warm here too! It finally snowed, which for mid-January is so strange. It should be below zero by now! But I am so jealous of your gorgeous warm weather outfit. The color of your dress is my absolute favorite! 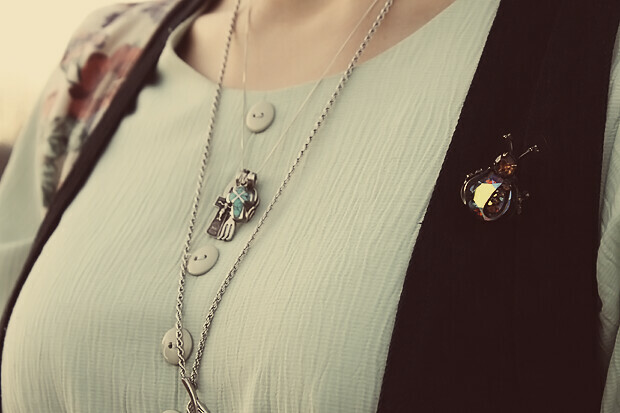 Love the little bee broche, so cute! 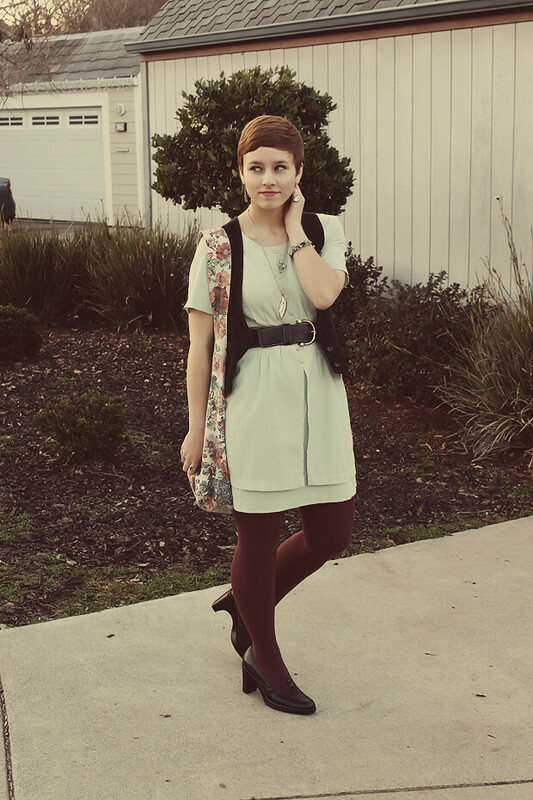 That dress is great - and I love it with the burgundy tights! oh my goodness the color of that dress is so dreamy! You are adorable AND have great style! 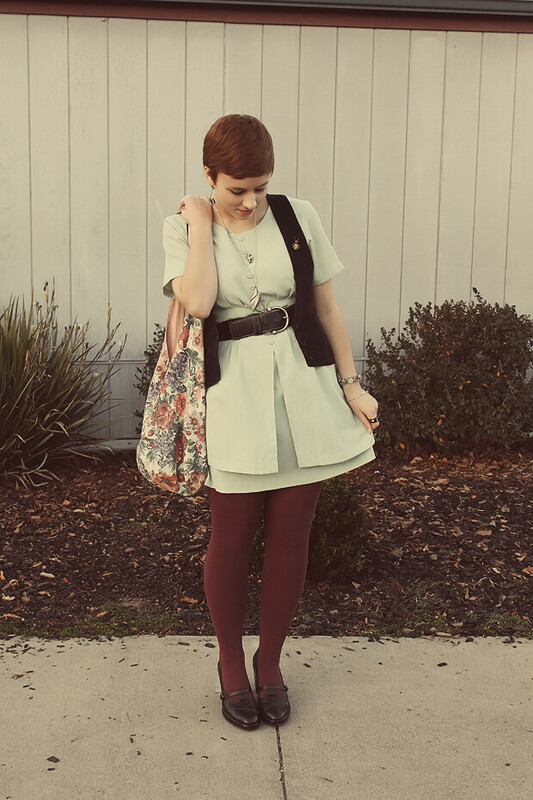 Love the mix of burgundy and mint, and of course, floral! Good call on the purse! It really completes the outfit I think!